We take responsibility for our teams’ training because we want to make sure that it’s done right. 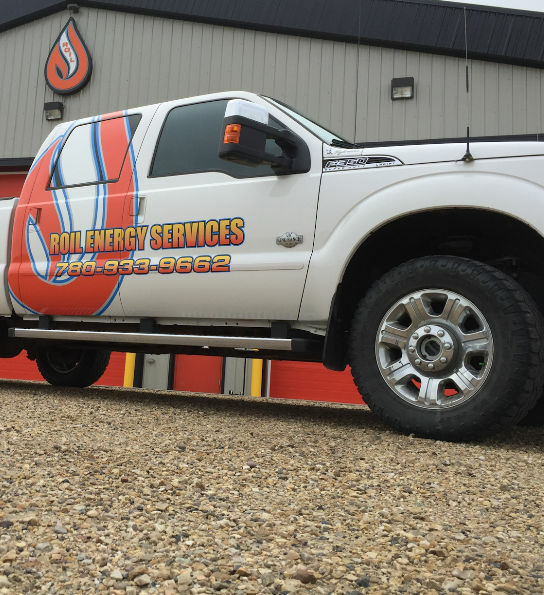 At Roil Energy we specialize in performing in-building lifts with our selection of engineered and fully certified Inverted Jibs. At Roil Energy we want to provide you with the solution to whatever problem you may be facing. Spike has returned to service, now with a bigger picker than ever before. Complete with 16,000 pound certified inverted jib, hydraulic fly-jib, and winch capability on the picker and hydraulic jib! Fly jibs allow us to open up a wider range of new applications. Since 1996 we have built a reputation and an expanded list of services through expert workmanship and exemplary customer service. We provide picker truck and custom ‘in-building’ lift services to our valued clients. 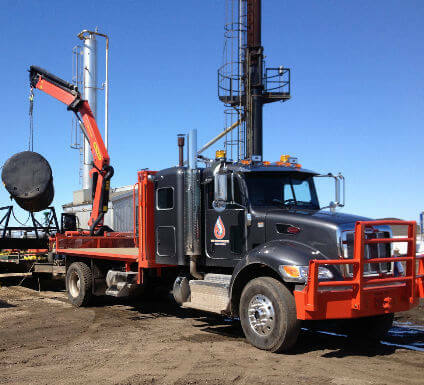 We also provide light hauling and ‘hot-shot’ services to the oil and gas industry, and others. The maintenance of any site is a key consideration, especially when safety is an issue. 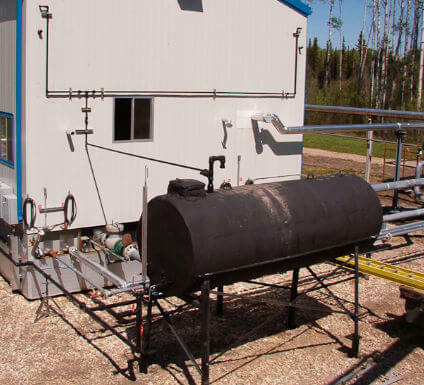 We have the skilled personnel and equipment to handle these processes, and many more. 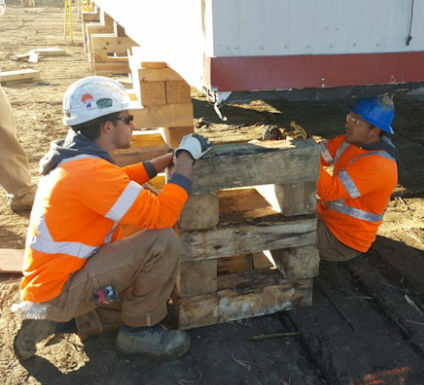 We provide modular structures – or ‘camp shack’ – set up, removal and maintenance for oil & gas, forestry, and anyone else who needs commercial modular buildings on remote worksites. When it comes to our clients, our staff, and the public we always ensure that safety is our primary focus. We are proud to boast over two decades of exceptional service with a pristine safety record. We supply the very best in tools, expertise, and related materials for commercial and industrial projects. Our fleet of trucks is well-maintained at all times and we are ready to go. 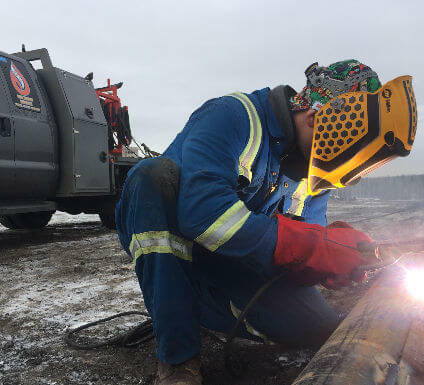 We have proudly served the industry leaders of Grand Prairie’s oil and gas sector as well as others for twenty years and have become our clients’ go-to source for picker services.